My wife and I are expecting our third child in about 40 days. As that number begins to dwindle and the reality of that becomes more real it is a time of joy and waiting and nerves. That last emotion is, of course, about the new child but it also is about the change that will soon impact my reading life. For the first few months my free-time(reading) will shrink considerably. So I'm trying to crash through some books before that happens. There are times when I get in a reading rut which, I assume, is akin to writer's block. Nothing appeals to me or grabs me and forces me to sit down with it. Luckily, my more usual problem is that of too many good things. The following five books of fiction are things I've just finished or am almost done with. They are dissimilar in too many ways to count but they do share some commonality as well. Good historical themes. Good looks at modern culture. Beautiful sentences with some humor thrown into the mix. They will forever, for me, form an odd fiction gumbo of a particular time in my life--pre-baby-numero-tres. I don't often review books per se on this blog. That's not really my goal--just more of a small taste of what these books contain and, hopefully, whet the appetite of some of you out there. Ben Fountain had a book of stories, "Brief Encounters With Che Guevara" a few years ago. One of the things I enjoyed was how well Fountain dealt with the variety of locales the stories took place in. Myanmar, Ghana and Haiti to name a few. He was also the focus of a great Malcolm Gladwell piece in the New Yorker. So I've been waiting on "Billy Lynn's Long Halftime Walk" with great anticipation. It's told in one day at, off all places, a Dallas Cowboys game. Soldiers who have returned from Iraq are the central characters and they are bold and funny and changed by what they've gone through. The novel in one day is no new trick but it's done rather well here. Christopher Tilghman is an author I got to meet this past winter in New Orleans. He and Lydia Netzer(author of forthcoming "Shine Shine Shine" 07/12) had dinner with a dozen or so booksellers. Just being around him for that short period of time gave me an understanding of his storytelling ability, wit and charm. His historical look at a Chesapeake Bay estate in the 1920's is evocative and compelling. "The Right-Hand Shore" is a book to be savored while sitting on the porch. It deliberately doesn't move quickly and the rewards along the way are many. I've been a fan of Emily St. John Mandel since other booksellers got me to read "Last Night in Montreal". 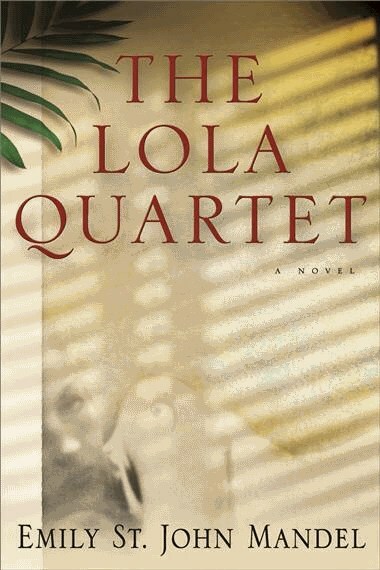 Her third book with Unbridled Books is "The Lola Quartet" and she fully displays her ability to mix mystery with varied points of view. All three of her books make it seem simple for a novel to fun while not being simplistic--a trick not easily accomplished. 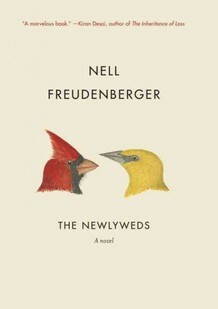 Nell Freudenberger is another author whose previous work compelled me to look at hew newest, "The Newlyweds." It comes with a pretty, colorful, jacket with birds. So it looks good, yes, but reads even better. She manages to tell a story about 'elsewhere' yet never gets heavy-handed in the telling. She was on the most recent list of twenty under forty writers to watch and it's easy to see why. It got a very nice review from Maureen Corrigan, who, for my money is one of the best reviewers at it. Finally, we've got Rajesh Parameswaran's "I Am An Executioner: Love Stories." As Jason, one of our Random House sales reps, explained to a group of Twin Cities booksellers this past weekend, they are love stories but with varying twists. Surprise is the one element that joins the stories together. With each one I found myself guessing at what would occur and found myself being proved incorrect again and again. It's a book that is a little difficult to discuss briefly because it is an odd mish-mash. Walter Mosley did it well in saying, "Pitch-perfect stories that recalibrate the notion of love and power with dark humor and unbearable tenderness." "Comes and Goes(in Waves)" is a song written by Greg Laswell. He's pretty neat.